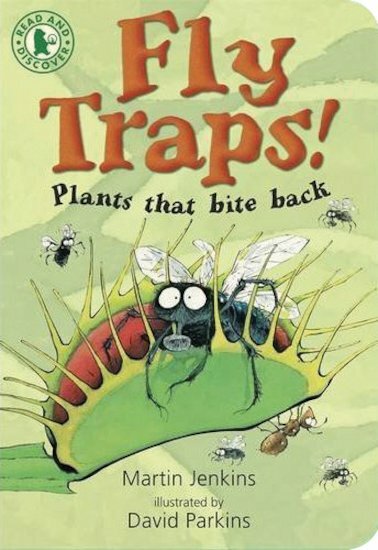 Read and Discover: Fly Traps! Squishy bladderworts, sticky sundews, cobra lilies and Venus flytraps. Meet some plants that like to bite back! A comical and fascinating look at carnivorous plants, from a quirky Walker series designed to build up reading skills. The humorous and fact-filled text is written by Martin Jenkins, a well-known conversation biologist. He won the Times Junior Information Book of the Year Award with The Emperor’s Egg, for which award this book was also nominated.